But I don’t like to practice….PART2! Although the teacher is the main motivating force, the student only sees the teacher once a week for 30-60 minutes at most. It is impractical to assume the teacher alone will be the driving force for a student’s daily progress. The parents/caretakers are the ones who see their child every day, and must work with them during the week. Without supportive parents, the child faces a huge impediment on the road to success. Parents have many reasons for enrolling their child. 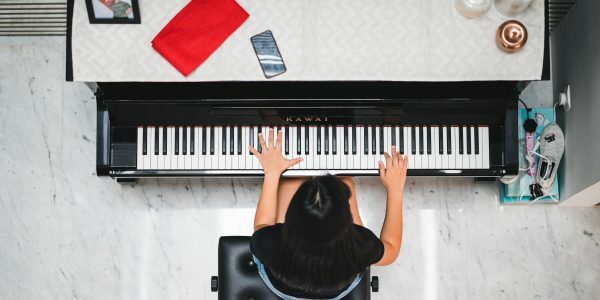 Depending on culture and background, some parents want their child to learn piano because THEY had to learn piano as a child, and it’s just another skill, like swimming or skating, that every child must possess. Other parents (I find most parents are this type) just want their kids to learn something that will be fun and useful and be able to perform something at whim. And finally, some parents put their kids in piano, as a sort of babysitting service – “teach my child something but it’s not really important if they progress or not”. These are the worst kind because they think practice will happen “on its own” or “if my child wants to learn the piano, they’ll be self-motivated to practice”. Essentially, it is the parent’s attitude and attention that largely determines their child’s progress. The most important aspect of a parent’s attitudes toward learning the piano is their EXPECTATIONS. Many parents expect their child to simply learn at the lesson and continue to practice that on their own at home. In fact, learning the piano or any instrument requires long-term commitment. Remember last week how I wrote that most kids are in it for the short-term goals (able to play a piece immediately?). This long-term commitment requires DAILY practice and results are almost always not instant. And it’s precisely during those “lows” that a child needs his/her parent to be their cheerleader…to persevere even though it may not feel great or want to practice. Do we expect our Canucks hockey team to do well (hey they got the President’s Trophy again this year!) and to eventually win the Stanley cup WITHOUT hours and hours dedicated to practice? Even Jeremy Lin, 2012’s breakout basketball star spent hours a day working out, eating right, and throwing hoops again and again before he became a basketball sensation. What if he didn’t feel like practicing because he was tired or felt bored, or didn’t make much progress? These are feelings that one sometimes has to work through, to attain greatness. Can we expect much progress from a child who practices once or twice a week? Yet I’m told by at least one parent nearly every week, that this is precisely what happens. I had a couple of students last year whose parents informed me at the beginning of nearly each lesson that their child had not practiced during the week. Both of these children were under the age of 7! Clearly, these parents were lacking in time management skills, or had enrolled their child in too many after-school activities! When practice doesn’t happen, progress doesn’t happen, and when progress doesn’t happen, a student will beg to quit, or the parent will cease lessons because they are a waste of money. Related to the above point, daily practice will only occur if it’s within a daily routine. Parents are responsible for setting up a routine for their child. Much like brushing their teeth or cleaning their room, practice must be a part of their child’s day. When practice is shoved after school homework, chores, dinner, watching TV, etc. no wonder it never gets done! Practice is can be especially challenging for extroverted personalities that crave and need interaction with other people. Parents may not realize that practice can be an extremely lonely task. They tell Junior to practice, while they do other things or worse yet, watch TV or read a book, leaving Junior alone to practice by himself! Although some children do not like their parent to sit beside them while they practice, many appreciate it when they know their parent is listening in the next room (door open) or listens to the last 5 minutes of their practice. Sometimes, the child needs to know that the parent is with them and is also taking time out of their busy day to focus on playing the piano. Parents should also communicate with their child on a daily basis, and to maintain open communication with the teacher. Discuss with your child how their progress is going. Talk about what was a challenge today and what they think they did well on. Try to discuss any issues with the teacher privately, never in front of the child! This causes embarrassment and a sense of discouragement. Last year, I had a frustrated parent, who told me on the very first day of lessons that her son was not very good at piano, and only wanted her son to play so that he could develop that skill. Needless to say, from that parent’s attitude, the son already presumed he was no good, and during the course of the year, put in minimal effort, and quit at the end of the year! I spoke with a long-time music teacher, and she NEVER says to “practice” the piano. Instead, she asks her child or student if they have “played” the piano. This completely changes the focus from something that is difficult and lonely, to something that is fun – playing! Examine your tone of voice – is it harsh and demanding, or is it encouraging and charming? Sometimes a firm stance is required, but are you acting as their cheerleader or bully (ie. “do this or else!”). Next week I will discuss the times when a student is MOST LIKELY to drop out of lessons, and what you can do about it. Also, a story of a parent who took two approaches, resulting in two very different outcomes! Previous Post But I don’t like to practice…. !